In the second trimester, doctors typically conduct a number of prenatal screening tests that can detect a variety of different chromosomal and congenital conditions in the fetus. The conditions being screened for can vary heavily in their prognosis. Children with some of these conditions, such as Down syndrome and mild to moderate neural tube defects, can be born alive and live a normal lifespan—although they may have developmental, physical, or cognitive disabilities. Other conditions detected in prenatal screening can be fatal or carry a profoundly poor prognosis. For example, half of the babies born with anencephaly will not survive birth and the other half die within hours or days. A chromosomal condition such as trisomy 13 or trisomy 18 can result in a baby with a short lifespan; 90 percent of babies with either of these conditions do not survive past one year old and are frequently afflicted with health problems and medical interventions throughout their lives. When prenatal screening and subsequent diagnostic tests return a definitive diagnosis of a condition with a poor prognosis, parents may face the decision of whether to continue the pregnancy. A pregnancy termination under these conditions is sometimes called medically based or medically indicated termination. Parents may also end up considering a medically based termination when rare pregnancy or other health complications pose a notable threat to the mother's life if she continues the pregnancy. When parents choose to terminate a pregnancy because of severe medical conditions in the baby, the medical procedure is technically a second-trimester abortion or a "late-term" abortion—and it is technically elective because parents can choose whether to let nature take its course or to end the pregnancy. As opposed to most elective terminations, however, most babies aborted late in pregnancy for medical reasons were very much wanted and the parents may deeply grieve the loss of the baby. Pregnancy termination of any type tends to be a divisive and emotional issue, both personally and politically. People who are philosophically or religiously opposed to abortion may view all abortions as wrong—no matter the circumstances. Activist groups are sometimes deeply opposed to even medically based terminations, and numerous online sites make a case that every baby should be brought to term. People who have a pro-choice stance usually have no objections to medically based terminations. 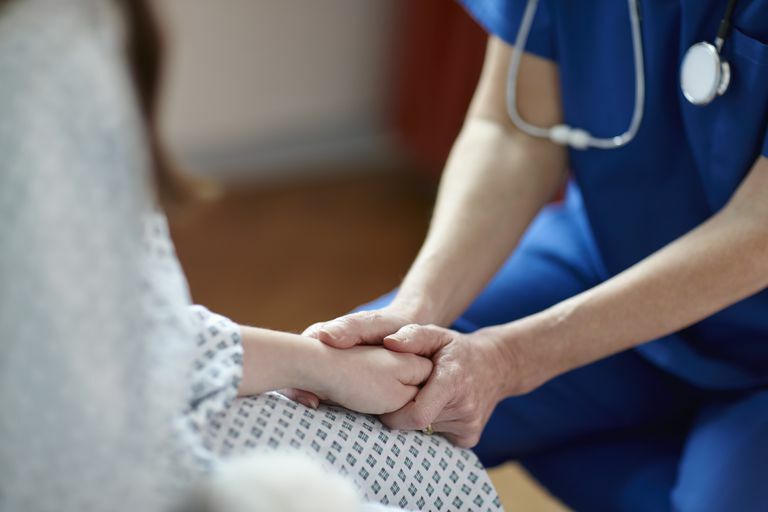 In cases when the diagnosed condition is not necessarily fatal, some opponents to selective abortion after a prenatal diagnosis have fears that parents may not receive full information. Outcomes have improved over the years for some conditions, such as Down syndrome, and they fear that parents may receive an inaccurate and dismal view of what it is like to raise a child with a physical or developmental disability. Outside the context of politics, and more important in these situations, are the feelings of the parents. Rather than being black and white (as political views tend to be), parents' emotions often fall somewhere on a spectrum. Some cannot fathom the idea of having a late-term abortion at all even after a diagnosis of fatal birth defects, while others wrestle with the idea but ultimately opt for the termination, and still, others do not struggle with the decision even though they grieve the loss of the baby. In all cases, it is a tremendously difficult decision for parents to make and is often accompanied by significant sadness and grief. When parents decide to terminate for medical reasons, the decision may have a number of factors. In nonfatal conditions, parents may feel they are ill-equipped to handle a child with lifelong special needs. Sometimes the decision to terminate involves concern for the baby's suffering. For example, in the context of a condition like a ​trisomy 18 that involves potentially severe medical problems as well as a very short life expectancy, parents may want to avoid putting the child through unnecessary pain when there is no hope for a good outcome. These parents may feel that termination is the lesser of two evils. Terminating for medical indications may involve concerns for the mother's emotional health as well. When receiving the news of a devastating medical diagnosis, mothers may not want to face additional months of pregnancy only to see their much-wanted baby die in the hospital. These mothers may need to end the physical process so they can begin grieving and healing in the way that is best for themselves and their families. Finally, some situations may involve serious risk to a mother's life, such as the rare condition of a twin pregnancy involving one normal fetus and one hydatidiform mole (in which the mother faces a 60 percent risk of developing the malignant gestational trophoblastic disease by the end of the pregnancy if she opts to continue). In these cases, the mother's life and health may be protected by the termination—even if the baby was very much wanted. For diagnoses of nonfatal conditions, such as Down syndrome, parents may decide that they are ready and willing to accept a child with special needs. And in situations even with a very poor prognosis for either the baby or the mother, some parents may opt against termination because of religious convictions or deep philosophical convictions against abortion. Still, other parents may feel solace in letting nature take its course and in having a chance to hold the baby before it passes away, perhaps not being able to bear the idea of terminating the life of a baby. The decision of whether or not to terminate a pregnancy affected by a serious medical condition is highly personal. Some parents take a middle ground, opting to terminate if the condition is one that would be fatal at birth or shortly thereafter, but choose to continue pregnancies in which the baby is expected to have a physical or developmental condition but also a reasonable life expectancy. Some states do have laws on the books that can make a termination difficult if the condition does not threaten the mother's life, in which case women may be forced to travel a long distance for the procedure or to continue the pregnancy. Second-trimester terminations for medical reasons usually involve a D&E (dilation and evacuation) or a D&X (dilation and extraction) procedure—often with an injection beforehand to stop the baby's heartbeat. The D&X procedure, which is used for some of these terminations, is highly controversial. Legislators have targeted this procedure, sometimes termed "partial-birth abortion" by conservative media, in recent years and the future of the procedure remains uncertain. FIGO (International Federation of Gynecology and Obstetrics) Committee Report: Ethical aspects concerning the termination of pregnancy following prenatal diagnosis." International Journal of Gynecology and Obstetrics. 102 (1): 97–98. 2008. Termination of Pregnancy for Fetal Abnormality. Royal College of Obstetricians and Gynaecologists: 29–31. May 2010. National Institute of Neurological Disorders and Stroke, "Anencephaly Information Page." 13 Nov 2007. University of Virginia Health System, "Trisomy 18 and 13." Medical Genetics. 28 Jan 2008. Wertz, D.C. "How parents of affected children view selective abortion." Issues in Reproductive Technology I: An Anthology Garland Publishing, 1992. New York. Are Anti-Anxiety Medications Safe During Pregnancy?